• Ranagri - "Playing For Luck"
... these different backgrounds and horizons, experiences and peculiarities flow seamlessly into the Ranagri melting pot. The resulting music-mixture is a unique, sometimes singable, sometimes mystical musical fairytale world between intricate folk music, noble and elegant pop, artful and beautiful sounds, sympathetic pub-rock and flowing, eloquent singer-songwriter art. "Playing For Luck" - also available as audiophile 180g-Vinyl-LP cutted with Stockfisch´s inhouse Direct-Metal-Mastering cutting lathe. • Paul Stephenson – "Mother Nature’s Rules"
• Reg Meuross – "Reg Meuross"
Although active for decades, Reg Meuross is a new discovery for Stockfisch Records: He has been described as "a warm, engaging live entertainer [whose] same easy going feel informs his discs and their songs of love, longing and true life stories". • Brian Flanagan - "Where Dreams Are Made"
Brian Flanagan is an Irish songwriter, composer, vocalist, musician and poet. He has worked with artists from diverse musical backgrounds such as Michael Flatley, Nadine Coyle, Eric Bibb, Nathan Carter, Finbar Furey, Brian Kennedy and Sharon Shannon. 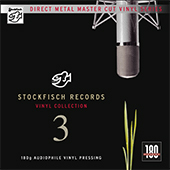 Stockfisch-Records has published this production as a hybrid-SACD. Listeners who own a multi-channel system can enjoy the 5.1 multi-channel layer, which presents the warm sonic panorama in a wider format. This wonderful recording is also available as audiophile 180g-Vinyl-LP Edition - including all of the 11 SACD-tracks. On May 18, 2016, Allan Taylor performed in the "Bürgersaal" for the first time, the concert was quickly sold out and some of the guests were partly from far away. A wonderful evening with the great songs of this artist, who has been traveling around the world for over half a century with his guitar, his stories and songs. We filmed and recorded this solo concert and now a blu-rayDisc is released. For our demonstration, we selected a large mechanical 16” cylinder music box and an analog magnetic reel-to-reel tape. Both sources were able to be recorded identically and without losses five times. Stockfisch publishes these 10 audio files on an USB flash drive. The user will be able to play the files directly from the drive by plugging it into an appropriate Digital-Audio-Player. Or the soundfiles can be transferred to a system fitted with an audiophile HiRes-Software-Player. • Werner Lämmerhirt † 2016 - "Eine halbe Ewigkeit"
In all the sadness, his music and memory remain. Some time ago, Werner thought of slowing down his life on stage and recording his maybe last album. No one could have guessed that it suddenly became sad reality. At first we met in the studio at longer intervals. This is how wonderful songs were recorded many of them joined by guitarist friends of Werner. When Werner's life-threatening illness broke out, we began to work more and more intensively. One of his last great wishes was to hear the final mixes. We made it - together - and he was so happy. 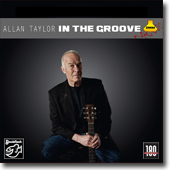 • Allan Taylor - "Behind the Mix"
Allan Taylor: "This recording began as a bonus CD to accompany Colour to the Moon in the special box edition, released in the year 2000. Colour to the Moon has remained in production, but the bonus CD, Behind the Mix was discontinued when the box edition sold out. We have decided to re-release this Behind the Mix CD because so many people have asked us to make it available again. When the idea was first suggested to me I listened to it for the first time in almost sixteen years and I realised that it is special for many reasons, but mainly because of the friends I worked with on it." Allan together with a symphony orchestra! Günter Pauler hired the "Göttinger Symphonie Orchester" with their agile conductor Christoph-Mathias Mueller; the Italian arranger Valter Sivilotti and Allan Taylor joined the recordings in Göttingen, and a very successful session was performed. Available from May 2016 as Multichannel-SACD-Hybrid! • Charlie McGettigan - "Some Old Someone..."
Charlie joined forces with Paul Harrington and Brendan Graham to win the 1994 Eurovision Song Contest for Ireland with “Rock 'n' Roll Kids”. He has released many solo albums including “In Your Old Room”, “Family Matters”, “The man from 20” and “Stolen Moments” produced in Nashville by legendary producer Bil Vorndick. Stockfisch Records is proud to release this wonderful album, presenting Charlie McGettigan as an remarkable Irish Singer/Songwriter. • Christian Kjellvander - "Solo Live"
ANDREAS ROHDE visited our Northeim studio in 1983. It was impossible not to notice his admiration for LEO KOTTKE. We have documented the state of our previous analog studio technology in numerous photographs in the booklet. For the second volume of “Analog Pearls”, we played the two-track master tape on the same TELEFUNKEN M15A that Andreas Rohde’s recordings from 1983 were mixed on. Then, our MEITNER 1-bit DSD-Converter managed the leap into the digital age. Thus you can hear a native 1-bit DSD Layer on the SACD. • Carrie Newcomer – "The Slender Thread"
Once upon a time there was a singer from a far-off country who was fair of face and sang with the voice of an angel. Her name was Newcomer, although she possessed a rich store of artistic experience. In April of 2001 Sara K. happened to play a concert nearby Northeim - home of Stockfisch Records. It was the first contact between Sara K. and Günter Pauler - and the story began. After arriving back home in the states Sara received a recording of the concert from Günter. Added to nearly five songs in the mix was a guitar player who sounded exciting and promising to her. That guitar player was Chris Jones. She immediately responded to Günter that she would love to record with him. • Tony Christie & Ranagri – "The Great Irish Songbook"
Tony Christie - Is This the Way to Amarillo? No! This time he’s wending his way to Dublin, Limerick, Tullamore and Carrickfergus. 44 years after the release of his million-selling hit “Amarillo”, Tony Christie rounds off his long career with a nostalgic trip to his family’s Irish roots – and has produced an Irish folk album of the very highest musical and audio quality. For this project he was able to acquire the services of the band “Ranagri”. 12 of the most beautiful Irish folk classics including for instance „Wild Mountain Thyme“ and „Carrickfergus“, were recorded by Christie and the band in the grammy-nominated Stockfisch Studio in Northeim. This amazing recording with Tony Christie and Ranagri is also available as audiophile 180g-Vinyl-LP Edition - including all of the 12 SACD-tracks. • Kerstin Blodig – "Out of the Woods"
The Norwegian singer/songwriter/guitarist Kerstin Blodig presents her debut-album on Stockfisch. The recordings took place in Solling - in a clearing in one of Germany’s largest forest areas. A perfect location (Dresdener Palais im Großen Garten), an experienced recording team with mastermind Günter Pauler, state-of-the-art recording equipment - and a courageous, professional baroque music ensemble. Another great recording on Stockfisch. On this SUPER-AUDIO-CD you will also hear the Violin Concerto in C Major by G.A.Brescianello, which is recorded here for the very first time. DSD-4.0-/DSD-Stereo-/CD-Audio-Layer + MAKINGOF-data partition. The second DMM-CD/SACD released 2016. 12 tracks selected from recent Stockfisch repertoire, at first cut into copper-master and immediately digitized with 1bit-DSD HiTech equipment. Incl. a 60page booklet containing a well illustrated documentation about the DMM-CD/SACD. Just as it’s four predecessors did, the compilation „closer to the music Vol.5 “ provides an aural overview of the latest and the forthcoming Stockfisch productions - this time for 2015. More than 79 minutes of unusual recordings and fascinating music. A very special part of this compilation are tracks 17 to 19, not just because they come from the the so-called “classical music” genre, but also because of the sound-technical aspect. We present to you in addition their multichannel versions, among them one GRAMMY nominated title from the SACD with the Chinese soprano Son Zuying. • Steve Strauss – "Sea of Dreams"
Roughly 10 years after his success with “Just Like Love” the singer & composer Steve Strauss now presents his new album: “Sea of Dreams”. In this new material you might discover traces of the Steve Strauss of “Just Like Love”, but the striking thing is a new more courageous style. The noble Duesenberg guitar dominates in many of the songs, and there is a new playfulness. The title of the album betrays his new consciousness: he dives into a sea of personal dreams - “Monster(s)” inhabit a “Freaky World” devastated by “Acts of War”. • Ranagri – "Fort of the Hare"
Ranagri sound like a precious, unspoiled spot of beauty – the Irish village of Ranagri that gave the band its name. The four Londoners marry musical influences ranging from classical, folk and blues. If their story did not exist, it would have to be invented. A get-together in the pub – a band's story comes into being. Guitar and flutes, harp and bodhran, bouzouki – and each time these melodious voices oscillating between melancholy and pure joie de vivre. This SUPER-AUDIO-CD brings to you the first recording of the complete "Set of Madrigals und Mottets" by Orlando Gibbons from 1612, feat. two soprano singers and violas da gamba: DSD-4.0-/DSD-Stereo-/CD-Audio-Layer. The internationally renowned ensemble "The Spirit of Gambo" brings a world of forgotten sounds into life again. The exquisite tonal quality, the balance between instruments, and the richness of musical content captivate any listener, giving them the feeling of being directly transported back in time and leaving them deeply rewarded. • Martin Kolbe - "Blue Moment"
Stockfisch Records owns a well organized tape-archive containing all tape-master from the analog era of Stockfisch. Martin Kolbe was really excited by the idea to rerelease his solo albums "Blue Moment" - so we started the remastering of the original tape-master from 1977. Martin Kolbe says: "Thanks to the excellent sound equipment and the careful production by Günter Pauler I can listen to these old recordings still in good conscience - here you just listen to the state of my musical development at that time, no ifs and buts." Stockfisch-Records is releasing a new series called 'Analog Pearls' with the artist Waylon Jennings. These old analogue recordings were chosen because of the fantastic sound. For the new series Günter Pauler is looking in archives and is searching for grantors of a license. Before releasing as "Analog Pearls" the tracks have been carefully remastered at Stockfisch-Records. • David Roth – "Will You Come Home"
A photograph album full of treasured memories - David Roth's new Album "Will You Come Home". David Roth is a musical portrait artist who conveys a wealth of stories, anecdotes and remembered scenes with a physically felt intensity. This album is reminiscent, too, of an much-loved anthology of poetry, like one of those marvellous books which one can simply open at any page. That extraordinary feeling of warmth and familiarity that takes us by surprise when listening to this music comes from the sheer magic of the melodies, the mellow harmonies, the irresistible guitar sounds and David Roth's voice. When we planned the Vinyl-Edition of "Will You Come Home" we could not make up or mind, which CD titles should be quitted because of the LP´s limited running time. Therefore we decided in favour of a Double-LP. And now the side-length became really perfect for a four-sided 45 rpm cut. • Paul Stephenson – "Girl With A Mirror"
"Girl With A Mirror" - In the mirror of the mermaid-like beauty of the girl featured in the album cover we just read one word: Masterpiece. While Stephenson’s earlier works exude the excitement of “something’s gonna happen”, the sweet bird of youth is “on the way to Santiago” – since then, life seems to have taken the artist on the long and rocky road. In the same way, "Girl With A Mirror" is darker; more composed, and more reflective – but hope does not desert us. • Carl Cleves & Parissa Bouas – "Halos 'Round the Moon"
The English word “Halo” can refer to the luminous circle surrounding the moon, but also the radiance traditionally depicted in art as the halo of a saint. The music of Carl and Parissa bears witness to how music can be an opposite pole to facets of human life such as death, sadness, loss and transitoriness – harmony with nature being the prerequisite. An Anthology of Ancient Chinese Poetry. Renowned Chinese ethnic vocalist Song Zuying, accompanied by conductor Yu Long and China Philharmonic Orchestra, performs an anthology of ancient Chinese poems that spans over 2,500 years of time. "Epics Of Love" is mastered in multi-channel hybrid SACD, with a 5.1 surround mix that captures the breathtaking acoustic ambience. A 60-page book was the format of choice for the rich collection of original Chinese poems, English translations, literature synopses, studio & sessions photos, and many more. This SACD is nomineed for the 57th Annual GRAMMY Awards 2015 as "Best Surround Sound Album". Also available as audiophile 180g-Vinyl-LP. Surprising: German songs is fun! - From melancholic to cheerful about absolutely intoxicating. Thomas Kagermann, Urs Fuchs, Andrea Leonhardi and Wolfram Cramer von Clausbruch - it does not seem to need more in this particular case: for this aesthetic musical enjoyment from contemporary songs, newly-conceived German folk songs and extremely snappy dance medleys. More and more music lovers are discovering the unique sound of a vinyl record. We have thought about whether it is possible just to make the sound creation factors of a vinyl record audible. With our new sophisticated process, a new digital recording media has emerged retaining the original sound of a Vinyl-LP but without the unwanted side effects. The DMM-CD/SACD gives you the direct sound of the DMM Copper cut - without having to go through the stages of pressing a record. There’s something which connects all the songs on this SACD: all are by Canadian composers. This is much more than a mere collection of hits - thanks to the poetic, strong and never sentimental interpretations of Paul O’Brien. "Long May You Sing" is also available as audiophile 180g-Vinyl-LP. 13 Songs of the tireless creative songwriter and guitarist from Alabama can be heard on his new album "Purple Cadillacs" that was recorded in Northeim. 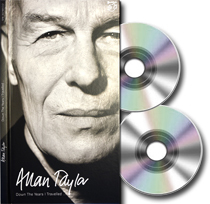 Stockfisch releases a new Double-CD with a compilation of Allan Taylor´s songs selected from his Non-Stockfisch CD albums (1984 - 1995) which are now out of print. Included an almost 60 page booklet with extensive liner notes, photos and lyrics. "Familiar" is also available as audiophile 180g-Vinyl-LP. This trio session with "The Greater Good" is also available as audiophile 180g-Vinyl-LP Edition. This CD is a richly facetted album – squally periods followed by intermittent calm, the rise and swell of the waves: Katja Werker's own compositions; fresh, energy-laden pop songs ("Crossfire"), some English and German folk; notably a Peter Gabriel classic from the Seventies ("Here comes the Flood") not to mention an awe-inspiring rendition of the German hit "Über sieben Brücken must Du gehn". Each of the album's tracks is unique, and all are highly authentic; personal in the literal sense of the word. Also available as audiophile 180g-Vinyl-LP Edition. There were so many positive and even enthusiastic feedbacks on our „closer to the music“ compilations volume 1 to 3, that we decided to release Vol.4 in 2011. And again this 4th compilation offers both a selection from current releases and presentations of artists and albums that will be released by Stockfisch Records in the next months. closer to the music Vol.4 offers more than 73 minutes of musical highlights to get in first touch with Stockfisch artists as well as sound and/or just for enjoyable listening. All of David Munyons songs are preserved in his already legendary and voluminous songbook, which in the meantime contains almost 500 unique songs. Twelve wonderful songs have been carefully chosen from this collection - bedded in a varied mixture of styles from Americana, blues and folk to rock – for the eagerly-awaited new studio album “Pretty Blue”. These profound and predominantly autobiographical stories tell of stations in David Munyons eventful life. Each song is a jewel in itself, shining with a dazzling beauty born of David’s love and deeply felt beliefs. The AYA - “Are you Authentic“ is an association whose members are dedicated to the aim of providing an authentic musical experience in cars. Together with Stockfisch Records they developed this SACD, with which the sound of (car-)hi-fi systems can be critically judged, and which therefore allows the most objective possible comparison of different systems. These tracks – some newly mixed, others specially recorded for this SACD – were selected to optimize sound systems if necessary. Stockfisch recorded Mckinley Black´s new album "Beggars, Fools and Thieves". The American singer/songwriter, who many years ago moved to Berlin and still lives there, got accompaniment during the studio sessions by renowned musicians like guitarist Ian Melrose, Katharina Franck (Rainbirds), drummer Ralf Gustke (Söhne Mannheims, Xavier Naidoo), and others. Listen to the samples! As an enthusiastic aficionado of instrumental music Michael Schlierf lets the music do the talking. During the HIGHEND exposition in Munich Allan Taylor happened to get to know Dieter Burmester, head of Burmester Audiosystems. Dieter told him about the sound system that he had designed for the new Porsche Panamera. It was then that Allan told Dieter his story of why he had bought a Porsche and that he had written a song about the true story behind. For this reason Stockfisch recorded together with Dieter Burmester and Allan a five track MAXI containing also the song "A Promise and a Porsche". Beoga (Irish word for ‘lively’) have become one of the most popular and influential ensembles in modern Irish music. “Riveting... the best traditional band to emerge from Ireland this century,” Wall Street Journal. • Sorry, meanwhile SACD and Vinyl out of print! Carl Cleves & Parissa Bouas come from Australia. Their fame Down Under is considerable. Parissa's angelic voice comes close to an invitation; that is, one from water nymphs and ancient dwellers of the woods of mythology. Carl's warm voice and his guitar-playing make sure that the angels stay in safe contact with Celtic folk tradition. He grew up with the music of his fathers Vinyl collection: Jackson Browne, James Taylor or Paul Simon had been Dennis´ musical vision and orientation. Above all his influences came from the protagonists of the West Coast Music in the seventies: The Eagles, Poco, Crosby,Stills & Nash… - listen to the great harmony vocals on this SACD! Dennis Kolen, the Dutch singer/songwriter with the singularly expressive voice. His first Stockfisch album is released also as audiophile 180g-Vinyl-LP. 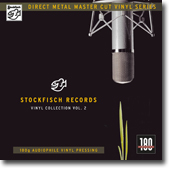 Stockfisch-Records releases Sebastian Sternal Trio Live-in-Studio-Session also as audiophile 180g-Vinyl-LP cutted with Stockfisch´s inhouse Direct-Metal-Mastering cutting lathe. We filmed at various locations which had been important in the artist´s life of Allan Taylor: Brighton, London, Brussels, Amsterdam, Paris, concerts, recordings … . Allan about this film: "What we aimed to do was to make a film about a travelling troubadour, how he gets his ideas for songs, how he writes songs, how he plays the concerts and how he travels from city to city." Some stalwarts of Stockfisch records to this noble end have gathered around Eugene Ruffolo; white beards and scarlet coats they wear – but watch out for their guitars! And finally they achieved the impossible task of creating a Christmas SACD sounding like no other. A new album by Ewen Carruthers is a thing worth waiting for! Now it's here – they call it "One Red Shoe". Seems like an old friend to us. Melodies dance like dappled sunlight on ground covered with golden autumn leaves. October wine – that's how lyrics grow. Down-to-earth, yet reflective; almost old-fashioned, they are bound to warm the heart – taking the direct approach to the soul of the matter. And more of this slide guitar please! After their "first impressions" Blue Chamber Quartet (vibraphone, piano, harp, double bass) has recorded the complete set of 20 "Children´s Songs" by Chick Corea. BCQ´s vibraphonist Thomas Schindl, percussionist for the Vienna Symphony Orchestra, arranged Corea´s musical miniatures for his quartet. Again music "that deliberately blurred distinctions between classical and jazz." Paul O´Brien is a songwriter with deep roots and broad horizons. An English-born child of Irish immigrants now living in British Columbia, he cut his teeth on Irish music. A natural story teller, Paul O'Brien has developed an eclectic folk style that is broadly appealing and not easily categorized. "Live in Belgium" as 2disc set (blu-rayDisc + Standard DVD). In stunning HDV quality (1080i NTSC) with Stereo- and 5.0 sound. Allan Taylor about this film: „It was Günter Pauler from Stockfisch-Records who suggested that, as the concert in Hoeilaart (near Brussels) was to be filmed, I should choose the songs that charted my career of a life on the road. This meant going back to some of the older songs I had not played for some time, but in the hour or so before the concert I found time to run through the texts, the melodies and the chords of these songs that illustrated my journey." The third compilation from the critically acclaimed „closer to the music“ series. You will listen to recent recordings of known artists like Sara K., Allan Taylor, Eugene Ruffolo and David Munyon , but also to new Stockfisch-discoveries like Dennis Kolen (NL), Paul O´Brien (CDN), BEOGA (IRL), Carl & Parissa (AUS), Beo Brockhausen (D) and some more - 18 tracks with a total playing time about 76 min. In addition to the SACD-release Sara K. "made in the shade" Stockfisch-Records features the brandnew pure audio blu-ray disc. This format has been designed to offer two ways of operation, either with or without a TV screen: you can either navigate the on-screen pop-up menu or simply use the dedicated buttons of your blu-ray player remote control. The numeric keys directly access the corresponding track number and the desired audio stream can be selected by the coloured keys on your remote. In high resolution audio-quality: 24bit/96 kHz Stereo + 5.1-Surround + 5.1 DTS HD master audio. Stockfisch-Rcords will release the new SACD Leaving At Dawn, on which Allan´s new songs are supported by many studio musicians with instruments as well as with vocals: Ian Melrose (git. ), Chris Leslie (violin & viola), Hans-Jörg Maucksch (bass), Beo Brockhausen (div. instruments), and Hrólfur Vagnsson (acc.) - to name just some of them. This last album is surely one of her very best, maybe it is THE best. It is certainly no less than sensational. Like good wine, this one has it all – that inner glow, that shining light that is the true sign of real art. The album’s 12 tracks are a quite delightful mix, with one song especially outstanding in its beauty: „made in the shade“, devoted to Sara K.´s fellow artist and kindred spirit Chris Jones who died some years ago. So, two different 5track-SACDs had been released - as Sennheiser claims: "Hear the difference! ": 1 Beo Brockhausen: Wolkenmeer - 5:16 - 2 Chris Jones: No Sanctuary Here - 3:44 - 3 Sara K.: When I Didn´t Care - 4:15 - 4 Steve Strauss: Closer - 4:15 - 5 The Bassface Swing Trio: I Love Paris - 4:41. Sennheiser Asia had the idea to feature a reference SACD for their brandnew reference headphone HD800. For that purpose they selected their favourite tracks from the Stockfisch repertoire: "for the optimal Sennheiser HD800 experience." Content: 1 Steve Strauss: Mr.Bones - 2 Sara K.: Stars - 3 Sara K.: Turned My Upside Down - 4 Sara K. & Chris Jones: Stop Those Bells - LIVE - 5 Christian Willisohn: Caruso. A very special compilation selected from the Stockfisch repertoire by the EASCA (European Auto Sound Association). Containing well known Stockfisch tracks, but supplemented by adding helpful test signals for installing, checking and evaluating car-hifis or home stereo equipment. Stockfisch-Records releases The Paperboys´ Live-in-Studio-Session also as audiophile 180g-Vinyl-LP cutted with Stockfisch´s inhouse Direct-Metal-Mastering cutting lathe. The German Duo Balance have for many years had a deep friendship with Louis Capart, singer and songwriter from Brittany. And Duo Balance fits in into this music congenially, singing together with Louis Capart in perfect harmony: in their soloistic parts, as well as performing songs for two or three voices. They are accompanied by some virtuosic instrumentalists creating a relaxed musical collage. The Bassface Swing Trio again, this time featuring singer Barbara Bürkle, performing a fine selection of Cole Porter jazz tunes. The musicians played two sets of four pieces - "live", there were no edits or digital tricks involved. The Stockfisch sound engineers mixed the sound of seven microphones in an analog mixer to a stereo sum. The mix was then passed through the highest grade DSD 1-bit converter. • Meanwhile Out of Print! 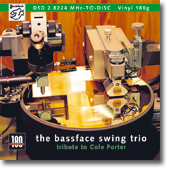 … for the friends of swing music w/o turntable as SACD Hybrid: DSD-Stereo/CD-Audio. Stockfisch-Records´ good connections to the classical music scene in Hungary yield another sounding fruit: Gergely Bogányi, one of the best Hungarian pianists of these days. He was so affected by the recent piano-recordings from Northeim, that he decided spontaneously, to record all of the 21 Nocturnes by Frédéric Chopin within a few hours - amazing! This impressive recording is released as Double-SACD-Hybrid. Patrick O’Byrne, who was born in Ireland and grew up in New Zealand, enjoys an excellent reputation among experts. On this SACD he plays piano music from Ravel. Impressionist sound painting to enjoy and savour … the quiet dreaminess of La Vallée des cloches – pianistic virtuosity to the highest degree, of which the Alborada del gracioso and Ondine or Scarbo from Gaspard de la nuit are very fine examples. Another DIRECT-CUT-SUPER-AUDIO-CD from Stockfisch documentating the second session of the CREAR recordings. Stockfisch is releasing Franz Liszt´s late works written for piano? Why certainly: one of the most promising music talents in Hungary, an extraordinary recording location in Scotland and Günter Pauler´s DSD Direct Cut technique - that´s it! 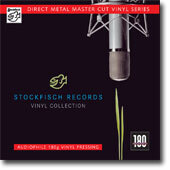 Stockfisch-Records releases the second DIRECT-CUT-SUPER-AUDIO-CD: a SACD Hybrid incl. DSD-5.1-/DSD-Stereo-/CD-Audio-Layer. Christian Willisohn, pianist and singer from Munich, goes back to the roots of the blues, taking his listeners on a trip from the basics to the myriad facets of the music. Sara K. was invited by the German radio station "mdr" to play for a radio concert in Leipzig/Saxony. On November 8, 2007 she performed a convincing solo concert, which Günter Pauler had been asked by the mdr to record for broadcast. As everybody was so happy with this performance, Stockfisch-Records decided to release this concert on CD. Sara K. - SOLO LIVE: 60 minutes, 14 tracks, Sara´s voice and her fourstring guitar! With Eugene Ruffolo from New York, Stockfisch has chosen a world class singer-songwriter to appear on the label. Ruffolo’s fabulously intense musicality is reminiscent of many an artist, especially of Marc Cohn and sometimes a little of Stockfisch fellow artist David Roth. Ruffolo’s own guitar sounds big and warm, its interplay with exceptional guitarist John Jennings is of a lucid beauty. … create a sound far beyond the formal strictness of classical music and the improvisation characteristic of jazz. It goes full circle from quiet moments of contemplation to rhythmically driving, minimalist musical patterns. A sound impression covering Sergei Prokofiev as well as Astor Piazzolla and Chick Corea. 4 extraordinary soloists with a really breathtaking performance! "This CD is simply a collection of songs I occasionally return to, solely because they are a joy to sing play. I decided to record the whole CD with just voice and guitar or voice and piano, the idea being that it is in fact a short private concert for you." Direct-to-Disc: that implies musicians playing the duration of one vinyl side without mistakes during the lathe is cutting the DMM copper at the same time. Live - no subsequent corrections, no edits!. • Meanwhile Out of Print! The vinyl-edition is going to get out of print and a reprint of direct-to-disc vinyl is strictly unacceptable. According to our opinion this wonderfully swinging piano-trio highlight should be available in the future anyway. Besides there were many requests from aficionados, who do not possess turntables, but would like to get this SACD. 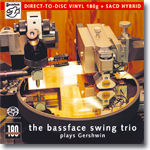 Therefore Stockfisch Records releases the bassface swing trio recording as a separate Hybrid-SACD. Stockfisch released its first SACD sampler two years ago. hell or high water, Sara K.'s second album produced outside of the US is not only a brilliant poetic and musical achievement. It is a great sounding recording as well. This SACD/CD yields 10 previously unreleased songs, featuring the late Chris Jones on guitar and dobro. Also on this SACD: An impressive surround mix for all titles! Stockfisch offers another audiophile experiment: We transferred our highresolution stereomix soundfiles of Sara K.´s SACD "hell or high water" to the JVC Studios in Yokohama. Renowned sound engineer Kotetsu mastered a XRCD24 based on this material. which have influenced lots of his fellow musicians - among them Allan Taylor and Mike Silver. His CD „when time turns around“ could and should relieve Carruthers from his status as being the all-time secret of the Inner Circle of folk music. „Song For You Far Away“ (James Taylor), „I Will“ (Lennon/McCartney), „Blowin´ In The Wind“ (Bob Dylan), „Streets Of London“ (Ralph McTell), „American Tune“ (Paul Simon), „You´ve Got A Friend“ (Carole King) and 8 other pearls. Songs, that "made their mark in David´s psyche and helped guide him down his path." SINCE 2012 ALSO AVAILABLE ON LP! For this DIRECT-CUT-SUPER-AUDIO-CD, we chose a specialised room with defined room acoustics and an extreme isolation: The large concert hall of the GALAXY studios in Mol, Belgium. This fine, superb sounding CD – made even more admirable by contributions from Chris Jones and other musicians – is in fact an almost typical Stockfisch publication. As a work of art rich in content, Mike Silver’s new work cannot be compared to anyone else’s so far. On his new album the sensitive singer and poet gives a close analysis of the state of human relationships and puts them in the shape of sophisticated melodies. With “Powderhouse Road“, Steve Strauss proved himself to be a singer/songwriter of remarkable depth of feeling and sensitivity. This is also true of “just like love" - again produced in audiophile Stockfisch quality. Friends of surround sound will find the additional 5.1-Mix also on this Super-Audio-CD. - the singer-songwriter from Durham, England, now living in France. Paul Stephenson´s second CD "These Days"! All those who – two years ago – felt like struck by lightning by Stephenson’s first CD "Light Green Ball" will find again so many things which are easy to love – the Beatles, James Taylor, being head over heels in love on a glorious spring day. 13 outstanding recordings with David Munyon from the years 1996/97, done in the Stockfisch studios in high-bit quality and accompanied by Stockfisch´s "house" musicians. David Munyon obliviously continues to write the book of singer/songwriting: 12 unreleased songs from the David Munyon sessions in Northeim in 1996/97. The first sampler released by Stockfisch-Records with a collection of 17 tracks. Although taken from different CD productions, these titles reveal a close relationship to sound and interpretation. On this SACD-Hybrid (DSD-Stereo + CD-Layer): Sara K., Allan Taylor, David Munyon, Mike Silver, Paul Stephenson, David Roth, Chris Jones … and others! The first SACD released by Stockfisch presents special features - both technical and musical: the DIRECT CUT SUPER AUDIO CD. A genuine DSD-live-recording "surrounded by horns". The tiptons, five female saxophone- and percussion-virtuosos from the USA, proved to be perfect partners for a direct cut! • Sorry, out of print! Allan Taylor´s 3rd album released by Stockfisch-Records: "Hotels & Dreamers". 11 impressive songs by the 'traveller' reflecting his "lessons learned along the way" - sung with his typical voice full of character, accompanied by well known musicians playing tasteful arrangements. The last CD album Stockfisch recorded with the exceptional guitarist Chris Jones. Chris Jones, well-known from the Nautilustour 2002, where he appeared as a guitar-virtuoso, arises on "Roadhouses & Automobiles" as copious songwriter and impressive singer. Live-Power – two guitars and the voice of Sara K., spontaneously virtuoso improvisations, no overdubs – wow! This CD was choosen as No.1 among the audophile CDs from the readers of "AUDIO/stereoplay" for the HIFI MUSIC AWARD 2003! This live recording of Sara & Chris’ concert in Erlangen, Germany on the 15th of June, 2002 is a must-have, not only for folks that experienced this incredible show. Sara K. & Chris Jones - in concert - the completion to the WATER FALLS-Album. "WATER FALLS" contains brand-new material, some of it composed in Northeim. This CD has received overwhelmingly positive critiques: "Water Falls is possibly the best album to appear on the market out of this scene in the last 2 or 3 years." On the 19th of October, 2002, Sara K. performed, together with Chris Jones at the ARTmax in Braunschweig, Germany. The concert was captured both on video and on (digital) tape for the Bowers & Wilkins Nautilustour-DVD. The live atmosphere of this performance (an additional concert especially organized by B&W) comes across both aurally and visually amazingly well. This DVD-Video is also available from Stockfisch. Another offer: The instrumental versions of the "Water Falls"-Mixes ( without Sara´s leadvocals). presents a collection of songs describing love and joy, disappointment and dark memories, magical moments and mystical pictures. Paul weaves these themes into a poetic tapestry that fascinates and ensnares the listener. The Austrian guitarist’s collection of 15 titles – 11 instrumentals (some recorded together with Chris Jones) and 4 songs – underscores his ability to play in many and varied genres. "Peter’s Fancy" has delighted not only the record-buying public, but the music press, as well: "Peter Ratzenbeck’s most mature work to date – a CD that should definitely be in every fingerpicking-fan’s collection". Details SFR 357.1018.2 (15,50 EUR+deliv.) Sorry, this CD is out of print. Allan Taylor recorded his 2nd CD with Stockfisch-Records. Allan’s much-acclaimed album contains 12 new titles, some of which were written in Paris during his "Journey of Memories". The amazingly versatile guitarist that has lent his talents to so many Stockfisch releases recorded this CD "Moonstruck" in the winter of 1999-2000. 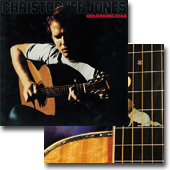 The album was released as a 2-CD special edition, the 2nd CD being Chris Jones’ very first solo-album on the Stockfisch label in 1982 "No Looking Back". this 1996 release features Chris Jones on the guitar and as special guests appear Andy Irvine and renowned bass-virtuoso Eberhard Weber. David’s second CD on the Stockfisch label. Audiences that saw him on his first tour of Germany in 1994 were incredibly moved, even speechless. His songs reflect his personal experiences in life and are delivered with an introspective honesty, tenderness and an unbelievable intensity. The songs of this singer-songwriter from New York demonstrate an unusual depth and sensitivity. His unique vocal delivery simultaneously fascinates and polarizes – neutrality is not an option. This exceptional album features (among many others) Hans Hartmann (double bass), Chris Jones (guitar & dobro), Nils Tuxen (pedal steel) and Detour (vocals). David’s first CD on the Stockfisch label, produced in cooperation with Glitterhouse records, was recorded in 1996. The German newspaper "DIE ZEIT" had this to say: "Not since Neil Young’s 'Ragged Glory' have the hearts of Rock ‘n’ Roll Folkies been so touched". but has also established himself as a singer and composer to be reckoned with – not only in the Folk scene. "SaitenZauber" is a tour-de-force, combining Folk, Swing and Blues in Werner’s trademark style – powerful and rhythmic, but at the same time relaxed, almost playful. After three decades "on the road", Werner is enthusiastically received by a generation-spanning audience. His music is still refreshingly spontaneous, as he demonstrates on "Mit Pauken und Trompeten" (loosely translated: "With Alarums and Flourishes") – his new songs are (for the first time) completely in German! - comprised of re-mastered versions of his earlier LPs "Crossroads" (1981) and "Personal Favourites" (1985). - comprised of his two earlier albums ”White Spots” (1978) and "All Alone" (1979). - Werner’s collaboration with flautist Volker Leiß makes this CD especially interesting. Truly a treat for guitar fans! The CD "3.5 hours" is a collection of the legendary recordings done by the NDR (North German Radio) in 1979, featuring David Qualey’s unique interpretations of works by Jobim, Lennon & McCartney, James Taylor, Gilbert O’Sullivan and Burt Bacharach. David Qualey is the undisputed master of the "quiet guitar". His compositions unfold into a majestic panorama, rich in stylistic variations – a colourful mosaic of moods, feelings and experiences. David Qualey: "It was sometime in 1957 … that I first heard a Chet Atkins record of solo guitar, and boy was I excited, overwhelmed." 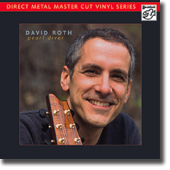 An amalgamation of two of David’s earlier vinyl releases "Only Guitar" and "Guitar Parables" – titles include "Santa Cruz", "A Norwegian’s Fantasy", "Opus 18-22" and "Early Summer Morning". "Balance", that stands for equation, stability, in terms of music for harmony. Christine Maringer-Tries und Hans-Peter Tries interpret songs and chansons with timelessly beautiful arrangements – full of feeling but never 'overloaded'. "Wunderbarer Morgen", their third CD on the Stockfisch label, is yet another successful realisation of this concept. Duo Balance perform (among others) songs by G. Moustaki, G. Brassens, Louis Capart and Jennifer Warnes. Their first CD released in 1990. Duo Balance’s debut CD on the Stockfisch label in 1990, "Blütezeit" is an achingly beautiful collection of songs by (among others) Jim Croce, H. van Veen, K. Kiesewetter and Louis Capart.